About Us - Pro UV Lamps Ltd. 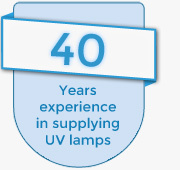 Pro UV Lamps Ltd. – formerly known as Primarc Marketing Ltd. – are one of the leading replacement lamp specialists in the UK. We hold large stocks of Philips, Osram, Pro UV and other replacement lamps for most types of commercial, industrial and domestic lighting applications – ranging from small pond units to large water & municipal sewage treatment plants. Other markets supplied include food & drink processing, pest control, UV curing, healthcare, scientific labs and commercial building HVAC. Our sales hotline is open from 8.30am to 5.30pm, Monday to Friday. There’s no minimum order value, but we do charge for carriage.